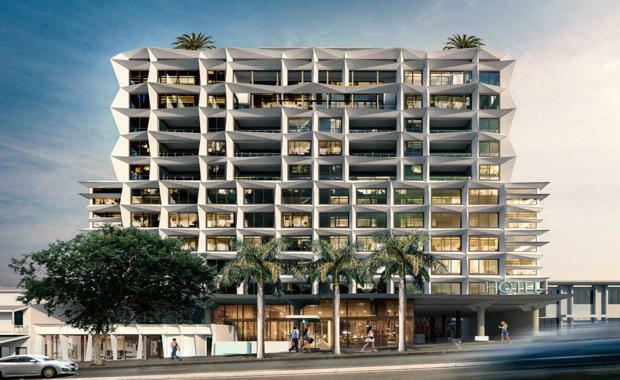 Pointcorp's Brunswick Street Hotel mixed-use project has received a facade makeover after new developmental plans were submitted featuring a tropical style revitalised exterior and a unit shake-up. 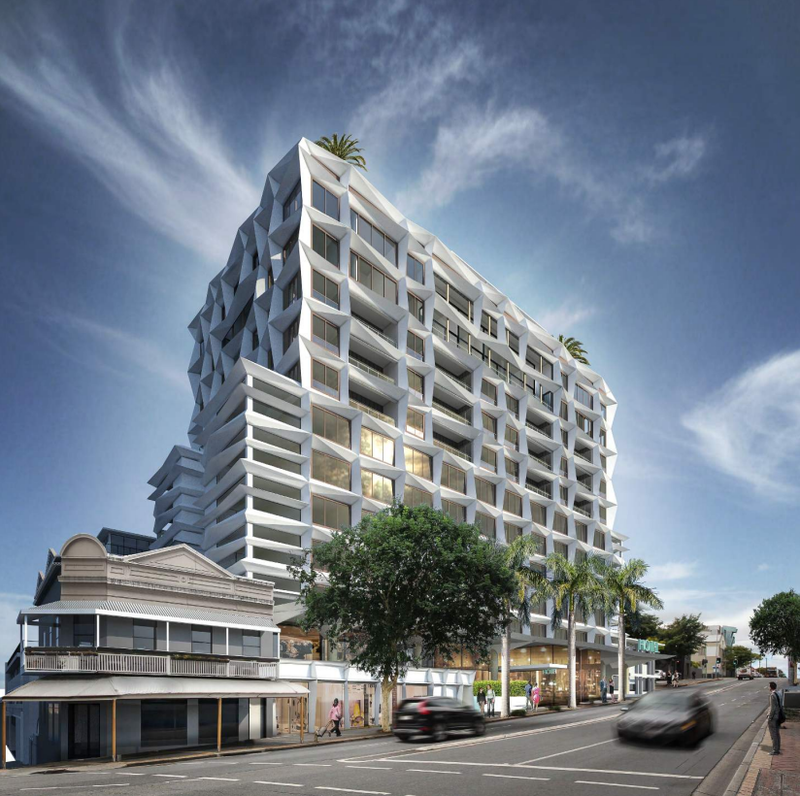 The previous plans for the seven storey building have been replaced with a Cottee Parker-designed proposed 11-13 storey project at 458 Brunswick Street, Fortitude Valley to include 140 short term accommodation units, 30 residential units, restaurants, retail and commercial space and a rooftop restaurant and bar according to developmental documents. 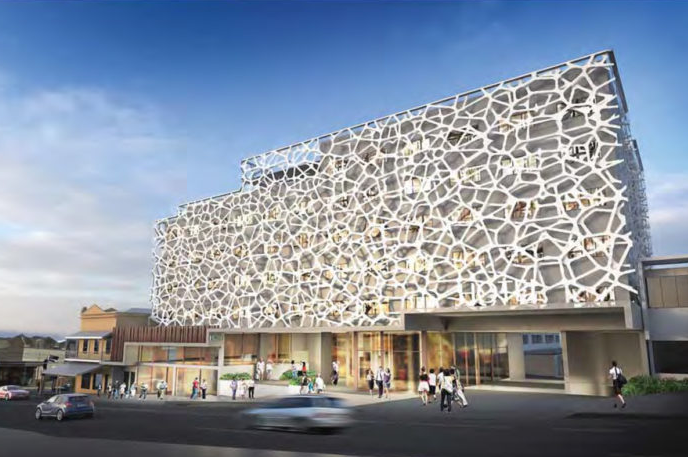 Shops and restaurants will feature on ground level plus 92 carparks and further bicycle spaces will be included across two basements. Initial plans for the site date back five years ago to 2011 when developmental approval was first granted. The Story Bridge, located approximately 240 metres south-west of the site. The proposed development represents a 12 storey building. However according to the definition of ‘Storey’ as defined in Schedule 1 of the City Plan, the proposed development comprises 13 storeys as a result of a portion of the basement being located more than one (1) metre above natural ground level. This portion of the basement above natural ground level constitutes a storey. Furthermore, the thirteenth storey on the rooftop is located in the centre of the site and setback from the side boundaries. 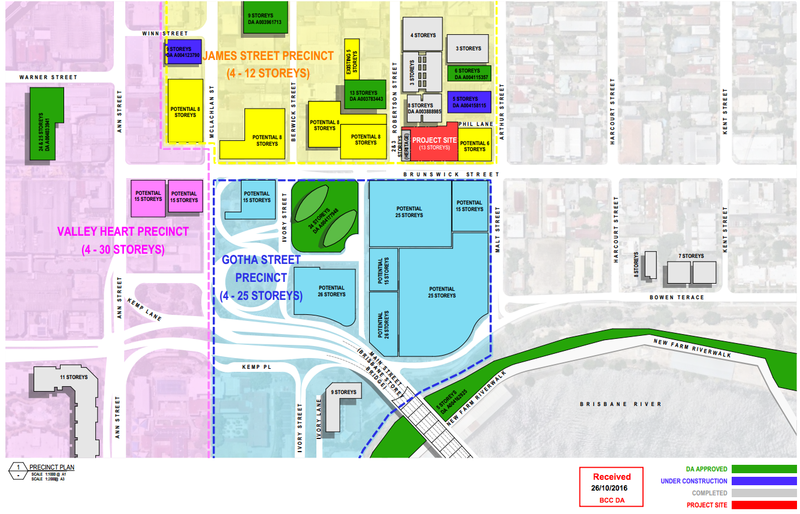 The thirteenth storey will not be visible from the street and therefore the proposed development will represent an 11 storey building from Brunswick Street and the surrounding locality.